The delectable vegetarian meal served through various courses from soup to desserts. Samaroh is an ultimate celebration of North Indian cuisine. If you love your typical dal roti and chaats, you should definitely visit this restaurant. They have a set menu every day that consists of starters, soup, thali, and desserts. 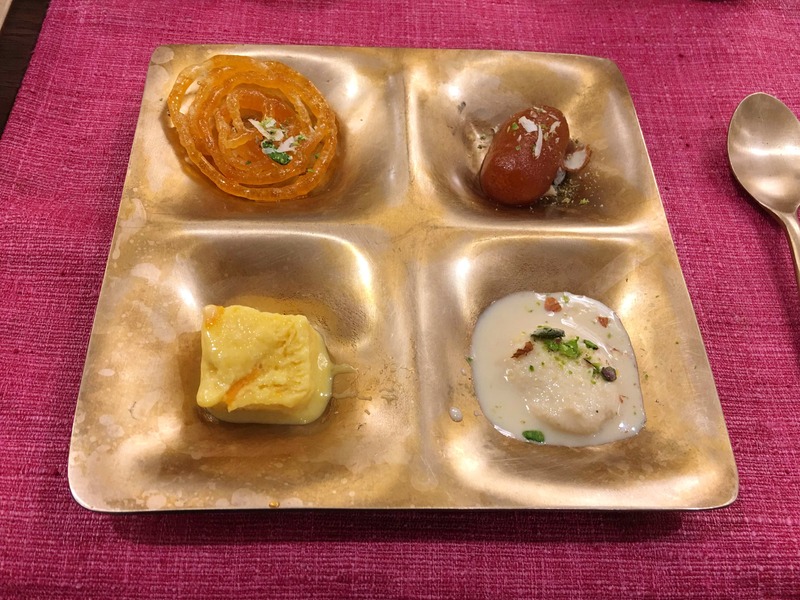 Currently, they have a Mango special thali being served with items like mango sabzi and mango kulfi. The meal finishes with a sweet paan. It's called a buffet but everything is served on the table, right from the starters to fresh naans and tandoori rotis. The service is quite efficient and the portions are just the right size. Family, Kids, and Big Group.